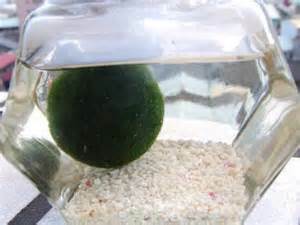 For marimo to grow to the size of a baseball, it was often said, would take between 150 to 200 years. 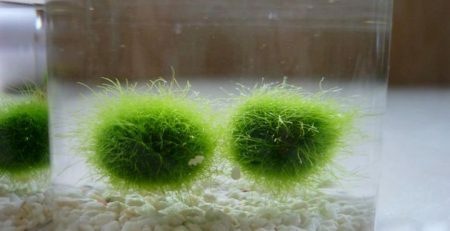 Recently, however, it was revealed that the marimo’s growth rate is not unduly slow but rather recent water conditions are not conducive to their growth. 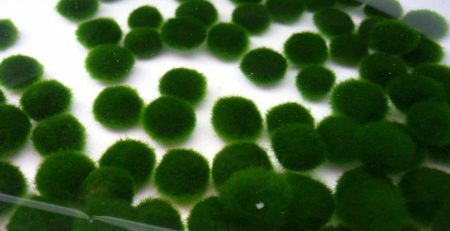 More than lake water, diluted sea water or salt water encourages marimo’s growth. 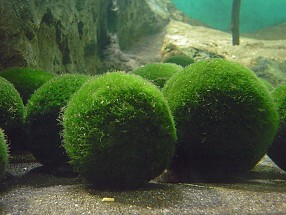 There are more than 20 lakes in Japan and neighboring countries where marimo have been confirmed to live. 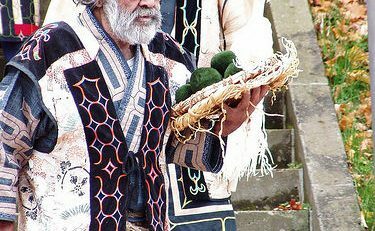 The greater part of these locations were, 6,000 years ago, shallow areas of the sea. (The above map indicates the locations of such lakes on the islands of Honshu and Hokkaido in Japan.) Shallow lakes which are the remaining traces of these ocean areas are called kaisekiko in Japanese; literally “traces-of-the-ocean lakes”. 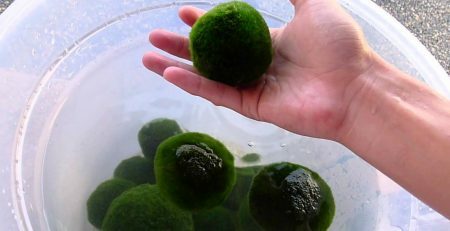 Considering that marimo were already living in these areas when brackish sea water filled these lakes, we can easily understand why marimo have a predisposition to salt water. 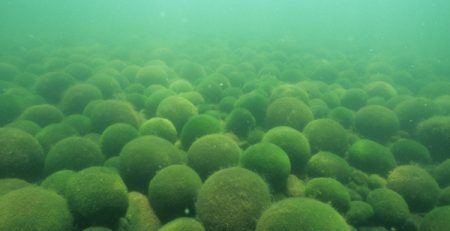 In Lake Akan the epilithic filament form of marimo grow thickest where dense salty water from natural springs flow into the lake.